Run if you can, hide if you can’t, fight if you have to. Run – Hide – Fight. Whether you’re a school, a church, a business, a sports or entertainment venue – whatever – at this point you almost certainly have some plan should the less-thinkable happen and an armed killer is in your midst. I say “less-thinkable” because that scenario is not unthinkable any longer, and I say “armed killer” because that’s what the assailant is (or at least what he or she intends to be). “Shooter” is a euphemism. Shooters go to the range to shoot targets – killers go to crowds to shoot people. Whether it's the Run/Hide/Fight process, or A.L.I.C.E., or whatever you use, there's an element of escape involved; an element of getting away from the threat. It’s the run in Run/Hide/Fight – it’s the E (for evacuate) in A.L.I.C.E. How many times have you practiced that element of your plan? If I had to guess, my guess would be that it’s not very often – if ever. Everyone drills and practices the lock-down element – the hide element. I get it. It’s easy to do, doesn’t take much time, is not dependent on the weather, causes a minimum amount of disruption to the school or work day, etc., etc., etc. If you’re a school, the kids all hide in their classrooms, quiet and out of direct sight, while the “intruder” walks the hallways and rattles the door handles. If you’re a business, your employees are hiding under their desks or locking themselves in closets and offices while the intruder roams the office space. Do you really think he (or perhaps she) doesn’t know where everyone went? There’s someone with a gun in your building. That someone has lethal intent. They are going to use that weapon. Chances are they have used it already, if not in your building then somewhere else beforehand. Consider, as an example, Adam Lanza - who committed the atrocity at Sandy Hook Elementary School in Newtown, CT. He had shot and killed his mother in their home before driving to the school to continue the carnage, and had entered the school by shooting out a large glass window next to the locked door that was supposed to keep “intruders” out. The Sutherland Springs, TX killer started shooting into the church long before he ever physically got inside. More recently (November 2017), Kevin Jansen Neal went on a shooting rampage in the small community of Rancho Tehama, CA. En route from his home to the town’s elementary school, Neal fired at neighbors and strangers alike before crashing the truck he was driving through the locked gates of the school property and opening fire on the school while still outside the building. Neal killed four people that morning, and had shot and killed his wife the previous evening, before ever reaching the school (where four students were shot, but survived). One of the best ways to not become a victim is to not be there when the shooting starts, or to get away if it’s already started, so you must practice that run element – that escape/evacuate element. If you never allow your people the chance to practice the decision-making process that would let them evaluate the threat and determine if they can safely escape it (instead of just hiding and hoping the threat won’t reach them), do you have any reasonable expectation that they’ll be able to do it for real when the less-thinkable happens? As a rule, we respond like we drill. If the only thing you practice is hiding, chances are that’s the action you’ll get if it’s the real thing. I’m not implying that the lock-down or hide element is somehow “bad.” It’s not. If it’s your best option based on your evaluation of the circumstances, then it’s what you should do. What I am saying is that it may not be your only option. But if you never get the opportunity to practice evaluating the threat and picking the best option, it’s the only thing you’ll do because it’s the only thing you’ve ever done. Technology is our friend when making that stay-or-go decision, but only if we know how to use it. It’s pretty hard to find a school without some type of video surveillance these days, and all those additional electronic eyes have the potential to save lives if a killer is stalking your building, but only if certain things happen. First, all those cameras and monitors need to work. Second, during the event, someone needs to be watching them, and that someone must be familiar enough with the layout of your building to give your faculty, staff, or employees valid information on where the threat is and where it appears to be headed. If you are unable to translate what you are seeing into actionable information, you’re little more than a spectator. And, of course, you must have the people who can take action based on that information. I’m talking about more than law enforcement here, although you absolutely want law enforcement to be able to do what they need to do to stop the threat. I’m also talking about empowering your people to think and act for themselves based on the information they have. And here we’ve come full circle, because (again, but it’s worth repeating) if your faculty has never had the chance to practice that decision-making process, it’s hard to imagine a good outcome when lives are on the line. If your drills and exercises have all been lockdown drills, then that’s what they’ll do. If your faculty and staff have always waited for directions “from above” than that’s what they’ll do. And who monitors those cameras? Who is able to watch the feed in real time? In schools – and I know I’m talking about schools a lot, but that’s where you’ll most easily find this technology – the actual monitor screens are usually in the main office. If there is a killer in the building, will someone really sit at their desk and watch those screens? And if no one is watching, how can you communicate what’s on the screen to the people who need that information? Let’s say (because it’s an option in many places) that you can monitor that video feed remotely, from another location: from another school building, from the dispatch center, from a laptop, etc. 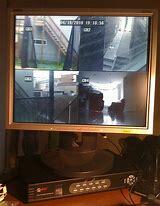 Does that person, watching remotely, really know what they are seeing? Are they familiar enough with the building to see, in their mind’s eye, the fuller picture of what’s on the screen? Can they translate that video image into actionable information for the people in harm’s way (or for the people en route to put an end to it) and are they able to communicate that information to the people who need it? How will they do that? If they can’t, then all they are is an observer of a developing tragedy. Within the past six weeks I’ve walked, unchallenged and unrestricted, into at least one school building. School was in session at the time. I walked in through a main entrance, not through some rear delivery door that I just happened to find propped open, past adults standing outside and through the hallways once inside. Not once - not once – did anyone even try to ask who I was or why I was there until I got to the office and knocked on the window. “How is that even possible in this day and age?” you might be asking yourself. If I had to guess, my guess would be that I did not appear to be a threat. Actually, that’s more than just a guess. I’ve had numerous encounters with well meaning, well-mannered students and adults who held school doors open for me based on appearance alone. I was well dressed, I was polite, I acted as though I had every right to come into that building so they held the door for me. 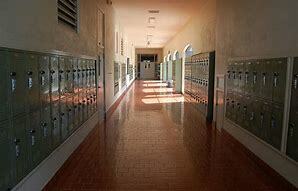 In fact, I’ve had more doors held open for me at schools than I have at businesses. Some of those businesses thought I was a salesperson, and so put me through a battery of questions before verifying my appointment and letting me in – which sort of gives some idea as to what they perceive as a “threat.” I appreciate the fact that I don’t look like a threat, but if we could tell based solely on appearances that someone was planning to commit mass murder in a school or business, we’d arrest that person on sight. Not every person about to cause a problem looks as though they’re about to cause a problem. Not every killer will be dressed in black para-military clothing from head to toe, or strolling through your parking lot carrying a long gun. Sometimes a killer will look just like a student or employee – because sometimes they are a student or employee – and if the threat is already inside your “secured” perimeter, what then? Run – Hide – Fight . . . keep your options open by practicing all of them.